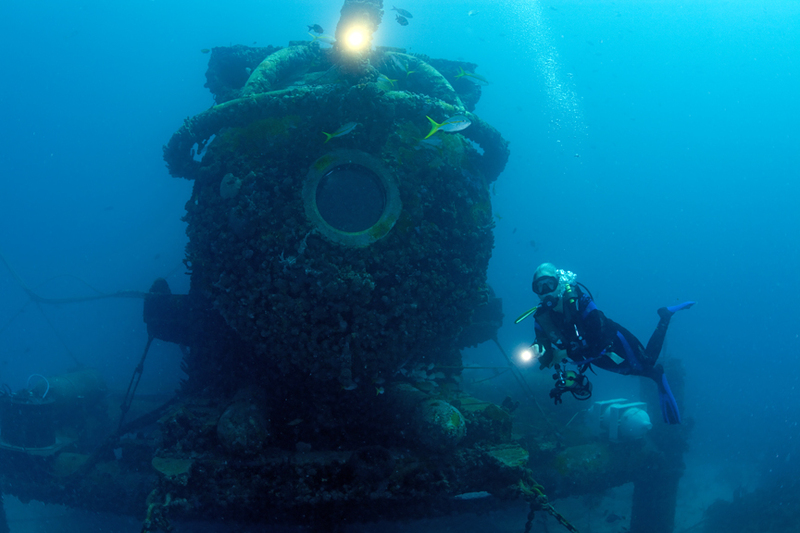 As Mission Aquarius, a celebration of 50 years under the sea, winds to a close, the Mission Blue team in Florida is filled with hope for the future of Aquarius. Dr. Sylvia Earle, her team of Aquanauts and everyone working to support and highlight the mission pulled together into a cohesive team that has made a clear statement to the world – Aquarius must be saved. With One World One Ocean in the lead, a winning group of talented ocean media professionals converged on Key Largo, Florida this week to call attention to the imminent loss of funding for the world’s last remaining undersea laboratory. Utilizing IMAX film, live webcasts from both inside the habitat and from the seabed, social media and mainstream news networks, teams worked 24/7 to highlight both the past achievements of Aquarius, and it’s possibilities for the future. The live U Stream feed typically had 200-400 viewers at any given time. Fabien Cousteau visited Aquarius for his first time early in the week. 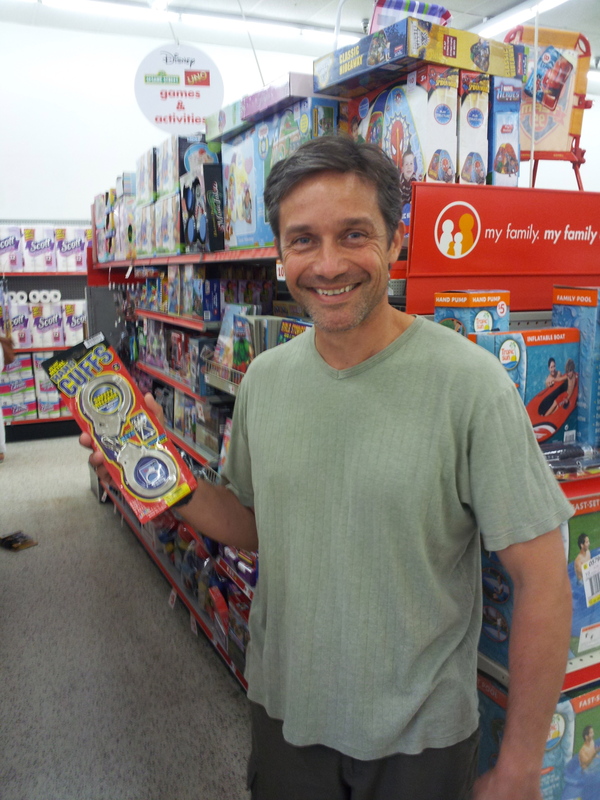 The grandson of Jacques and son of Jean-Michel Cousteau, Fabien has known Sylvia Earle since he was 3 years old. And growing up on the decks of Calypso & Halcyon, saving the ocean is in his blood. His cozy one-on-one chat with Sylvia was touchingly personal, yet far reaching as they discussed both the degradation of the world ocean and the possibilities for improving it’s health in the future. His intimate visit inside Aquarius with Sylvia was filled with nostalgia. “I follow in your fin steps and my grandfather’s,” he said, “in being more comfortable in the sea than on land.” How to bring that type of ocean consciousness to the general public is a dilemma. How can those who have never gone beneath the waves, truly care for something they’ve never seen? We hope that through the efforts of this talented group of filmmakers, journalists, and photographers, enough attention will be focused on the ocean to begin to bridge that gap. Embedded ocean journalist and former Gizmodo Editorial Director, Brian Lam contributed his young, hip take to the mission. Earlier this year, when he Interviewed Sylvia for a New York Times article on home made subs, Brian’s epiphany about the state of the world’s oceans was evident. His touching follow-up piece, “A Heartbreaking Interview with Dr. Sylvia Earle,” went viral. Brian’s deep commitment to using his considerable talents towards saving the ocean continues to grow, and his contribution to the Aquarius mission has been outstanding. With digital media being shared on every platform from cell phones to IMAX screens, we hope that the public, and our leaders in Washington will hear the message to save Aquarius loud and clear. The photographic talents of the crew from One World One Ocean, Liquid Pictures’ Aquanaut DJ Roller, and our own Kip Evans have created a bank of rich content that is being shared worldwide. Like an ocean wave closing in on the shore, news of Mission Aquarius grew as the week progressed. When the AP story hit the wires on Thursday, news of Aquarius’ plight hit newspapers coast to coast. NPR had two pieces during the week, including Science Friday with Ira Flatow. 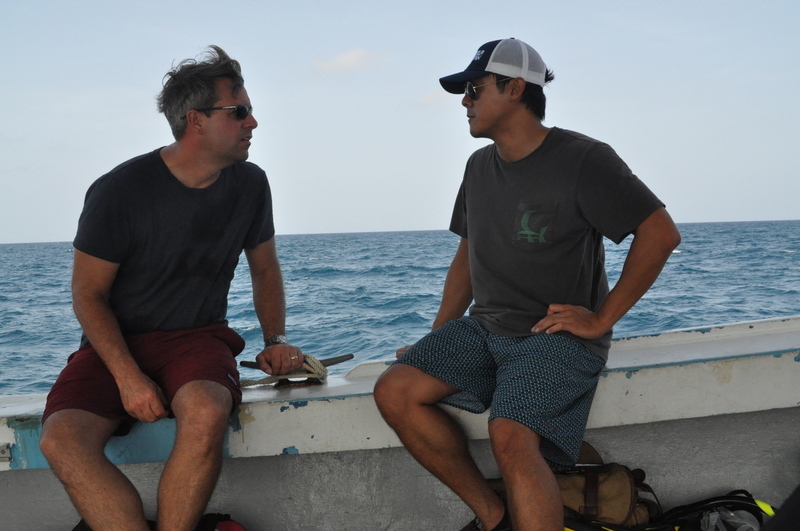 Nightline anchor Bob Weir dove to Aquarius to interview the aquanauts both inside and outside of the habitat. Sylvia’s TED wish to spread the news by all means possible that our ocean is in trouble has never been better served. 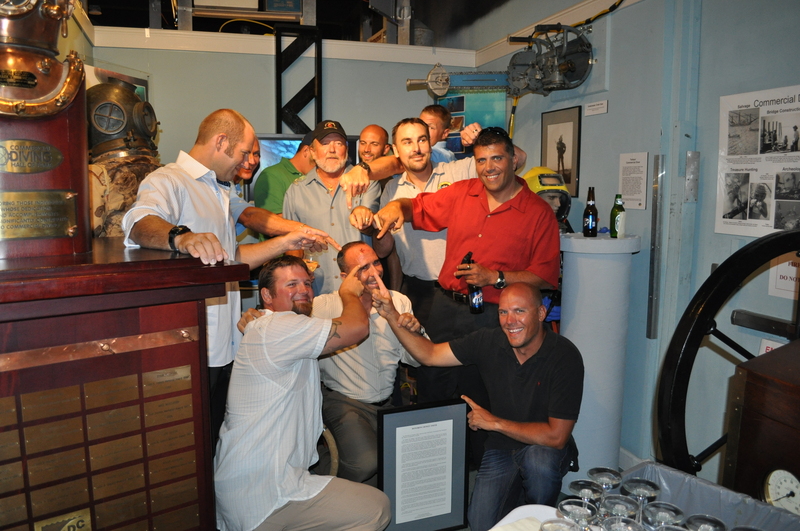 Culminating with a gala fundraising event at the Museum of Diving History in Islamorada, we have increasing hope that Aquarius will be saved. Certainly millions of people have now heard about the imminent closure due to budget cuts. Even with today’s difficult economy, the $3 million that it takes to operate Aquarius annually seems like a goal that should be easy to reach. Given the return on investment that Aquarius will provide, it seems a tiny amount. No article about Aquarius would be complete without a shout-out to the team at Aquarius Reef Base. It has been a pleasure to spend this week working alongside the NURC team – each member bringing a consummate professionalism and a great deal of heart to the table, keeping the aquanauts and those of us working around the lab safe and comfortable. Mission Aquarius has been a resounding success due to the hard work of this incredibly dedicated and skilled team. We hope that we’ve been able to focus the necessary attention on Aquarius to bring in the funds needed to keep her and this amazing group of submariners up and running for a very long time into the future.